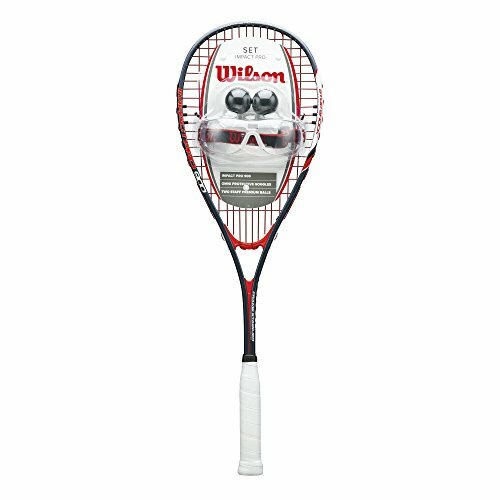 The Impact Pro Squash Kits includes one Wilson Impact Pro 900 racquet featuring frame stabilizer technology, 1 pair of Wilson Omni Protective eyewear, and Two Wilson Staff Premium Balls. This kit is perfect for new players to the sport of squash. BEST IN ITS CLASS. 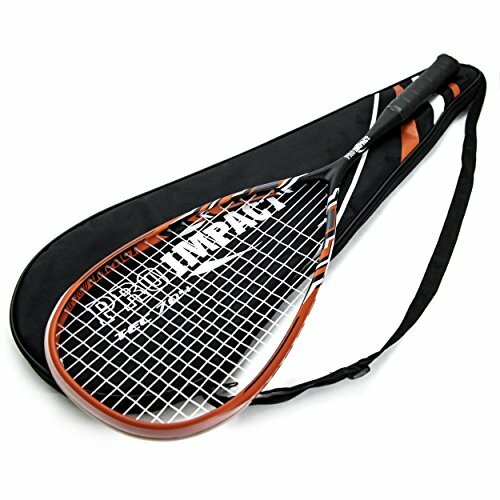 Expertly crafted out of pure graphite, this Pro Impact Graphite Squash Racket will provide long-term strength for years to come. Graphite is stronger and more reliable than aluminium, yet is lightweight to offer more control and maneuverability. ALL SKILL LEVELS. Whether you're a beginner, intermediate or skilled player, you can get your game on with Pro Impact. Designed to improve your game, this racket allows for fast, accurate and flexible play to accommodate all skills levels. GENERATES MORE POWER. The tear drop shape features longer strings, providing a bigger trampoline effect and packing an additional punch. Combined with the open throat style, this racket will generate more power no matter what your skill level is. IMPROVE YOUR GAME. 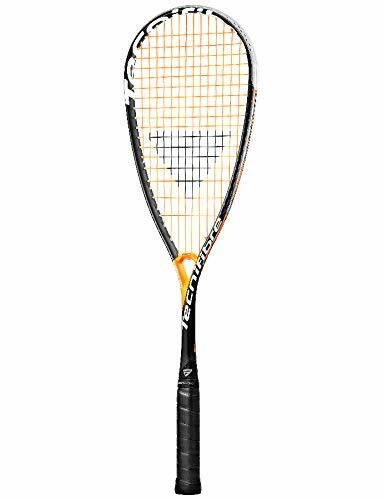 Offering a perfect combination of power and control, this squash racket will deliver consistent performance on the court. The quality construction combined with the teardrop shape adds extra crispness to your shots so you can improve your game and squash your opponent. INCLUDED COVER. For added convenience, the racket comes with an included cover with zipper closure to keep it fully protected. This cover is also outfitted with a shoulder strap so you can easily carry it from one location to the next. The Dunlop Squash Court Pack includes everything you need to get started in this exciting game - racquet, 2 balls & protective eyewear. 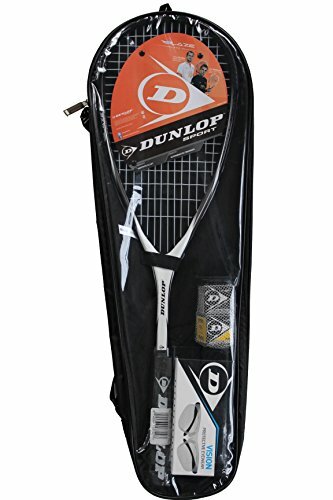 The Dunlop Squash Court Pack includes: 1 Dunlop Blaze Pro Squash Racquet: Frame Weight: 175 grams Head Size: 500 sq.cm Construction: Graphite Alloy Balance: Head Light 1 pair of Dunlop Vision Eyewear. 1 Dunlop Pro Double Yellow Dot Ball. 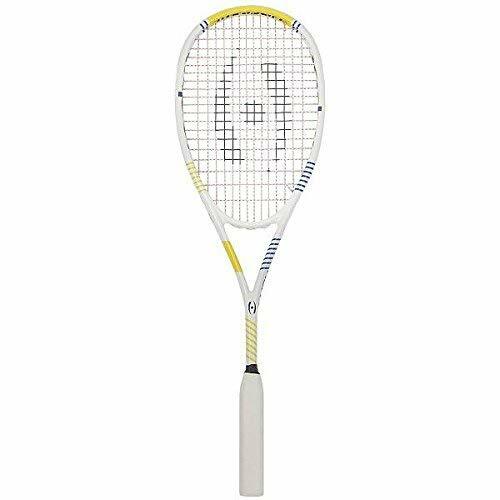 1 Dunlop Competition Single Yellow Dot Ball RACQUET COMES FACTORY STRUNG. CARRYING CASE INCLUDED. Carrying case with shoulder strap. RACQUET COMES FACTORY STRUNG. The Fury, Harrow newest high performance racquet. This racquet is designed, endorsed and used by current us #1 and world #4 natalie grainger. Natalie relies on the best equipment to keep her at the top of the WISPA rankings so if the perfect balance of power and precision is your goal the Fury is the racquet for you. Revolutionary MicroGel technology for incredible touch and power. Featuring a closed throat design and a lightweight frame (5oz), the Black Knight Ion X Force Black squash racquetet is an ideal choice for players seeking increased control. It has a midplus (73.6in2) head and uses 16K Hyper Tensile Fibre technology for enhanced durability and more structural strength. This head heavy balanced racquet offers Thermal Core Technology for faster racket recovery during impact, whereas the combination of Nano-Crystalline Technology (NCT) and ION frame geometry provides a larger sweet spot and reduces frame distortion. 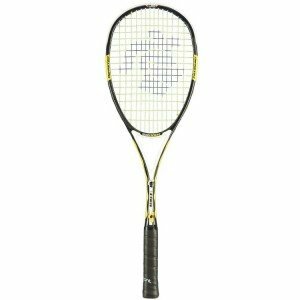 The racket comes strung with Ashaway Supernick XL Micro string in a 14x16 string pattern for excellent tension maintenance and explosive power. The newest member to the 8110 family (by far the most popular squash racquet made by Black Knight) boasts the lightest head balance to date. These have been the workhorses whose durability combined with playability have been unmatched in the industry. 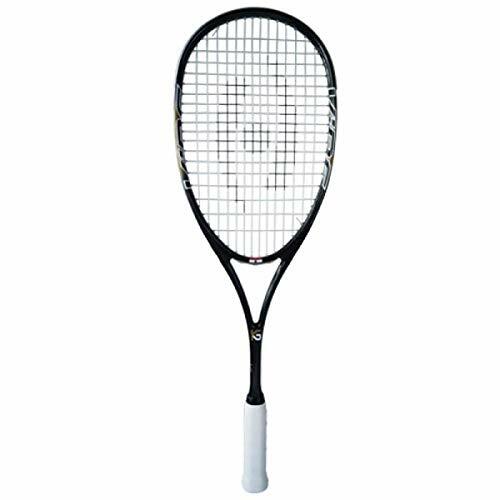 The wide string pattern and stiff frame make this a very easy racquet with which to generate tremendous power. WEIGHT: 145 grams. HEADSIZE: 497 sq.cm. FOR: Advanced/Professional Player RACQUET COMES FACTORY STRUNG. FULL RACQUET COVER INCLUDED. Tecnifibre Dynergy APX 120 offers power with a lot of stability at the highest level. With Arch Power X geometry, located in the heart of the frame, the racquet offers more dynamism with more rigidity, similar to the carboflex mono-shaft technology: less bending when hitting and therefore more liveliness, a more direct and precise striking. The power offered by this racket is particularly related to the jumbo shaft (the handle), 38% thicker than the Carboflex section which therefore offers a lot of stiffness in the handle.Thanks to the Superlight Bumper system, the grommet is perforated which allows to be much lighter than conventional bumpers. 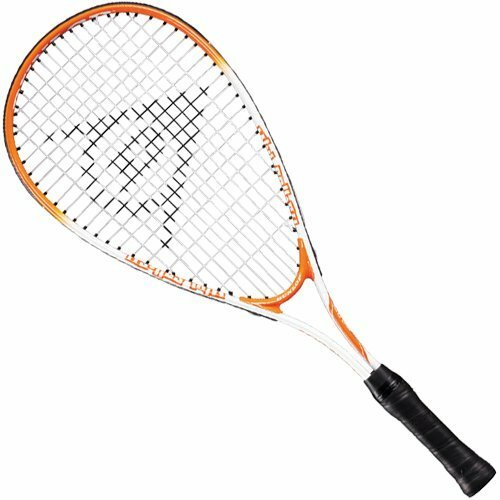 RACQUET COMES FACTORY STRUNG WITH TECNIFIBRE X-ONE BIPHASE ORANGE STRING.